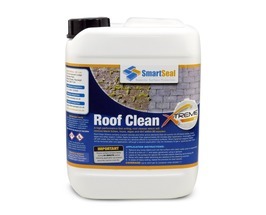 Fast and Effective Roof Cleaner for all types of Roof Tiles. 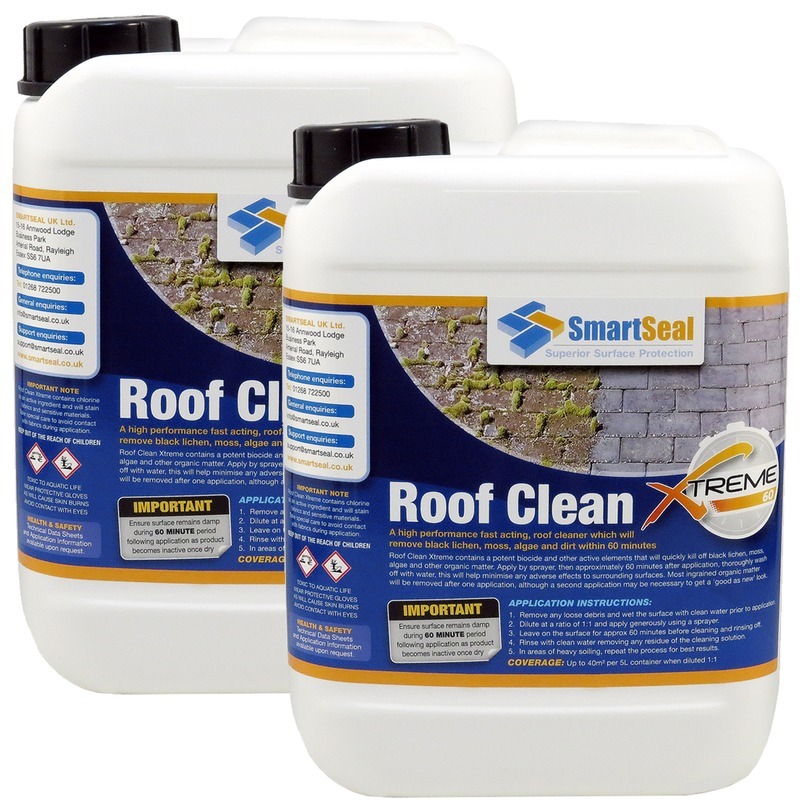 RoofClean Xtreme is a fast acting, high performance cleaning product that will enable a roof to be cleaned without intense pressure washing. 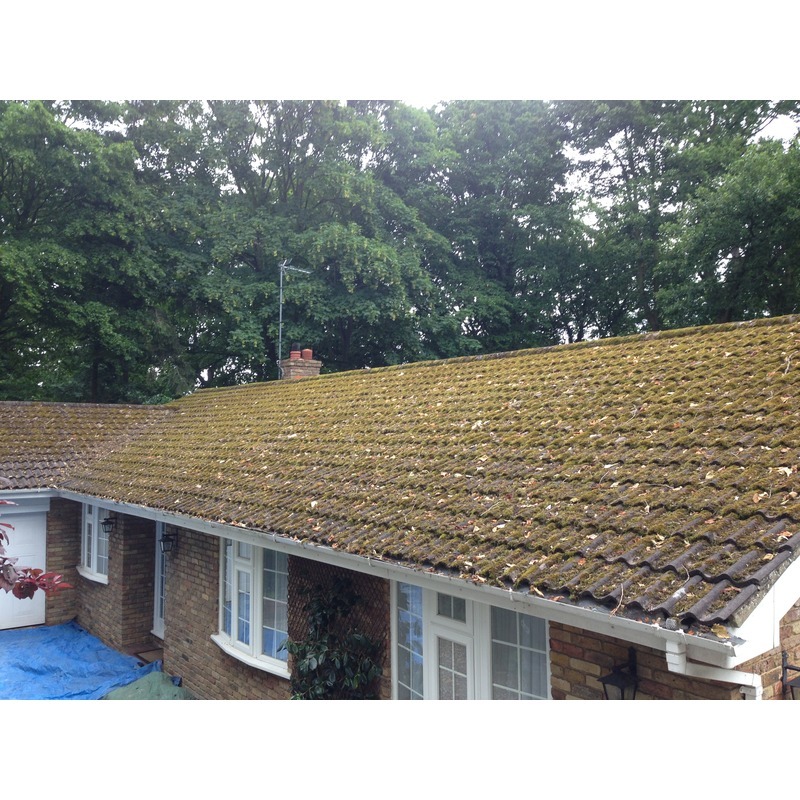 RoofClean Xtreme will quickly remove all forms of organic growth from any type of roof tile including clays, without risk of damaging the roof. 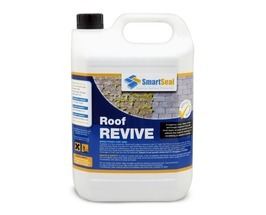 For best results dilute the product 1:1 and apply to a wet surface by watering can or sprayer. 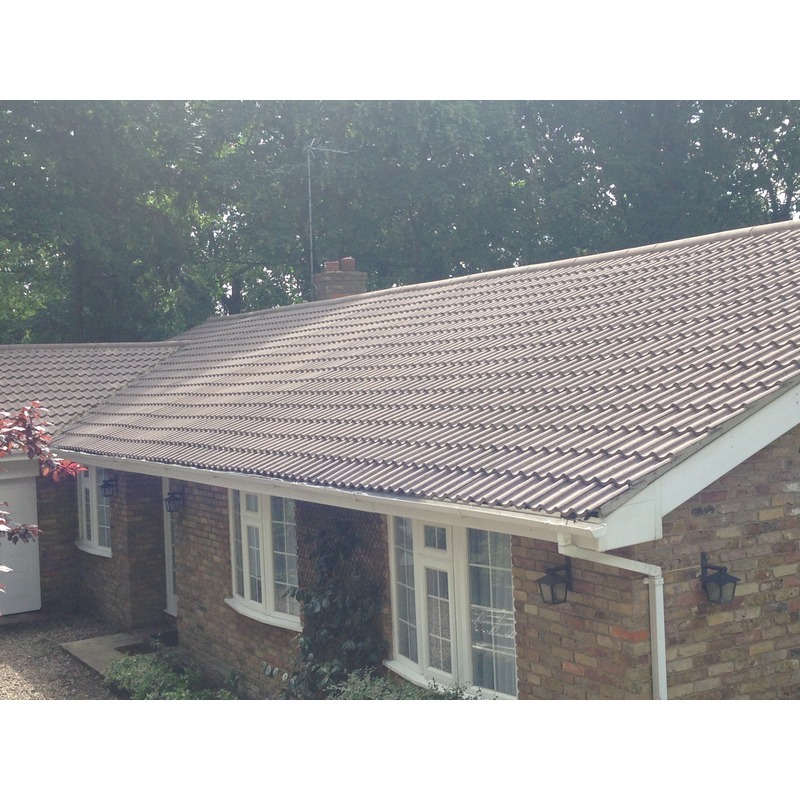 Keep the roof tiles damp throughout the 60 minute period, then hose or lightly pressure wash away with clean water. 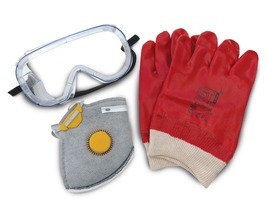 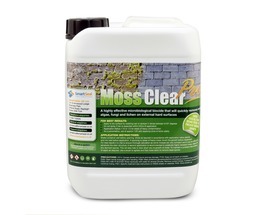 For areas of heavy contamination or soiling, leave product on surface for longer or re-apply. 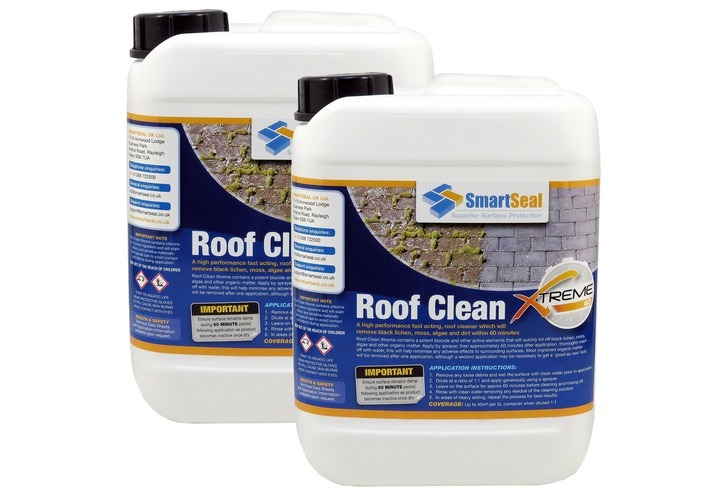 RoofClean Xtreme combines 4 powerful, active cleaning ingredients and a biocide to inhibit further growth of moss and algae.